Venetian villas are typical buildings of the Venetian countryside and they represent the power of the Venetian aristocracy out of Venice, so in the mainland. Formed by a main body normally flanked by 2 barchesse (side wings), the Venetian villas are sumptuous dwellings of nobles, who moved to the countryside both to administrate their agricultural company directly and to study arts and improve their education. They were mainly projected by Andrea Palladio, the world-famous architect, during the 16th century and were skillfully frescoed by Paolo Veronese, an esteemed painter among nobility of that time. Thanks to a particular painting technique, the tromp d’oil technique, the managed to enlarge space. In addition, he realized fictitious architectural elements like columns, basements and niches, where he put the characters of the myths represented on the walls. The pictorial space is constellated by mythological, Christian and pagan episodes, which are mixed together to build a harmonic whole. 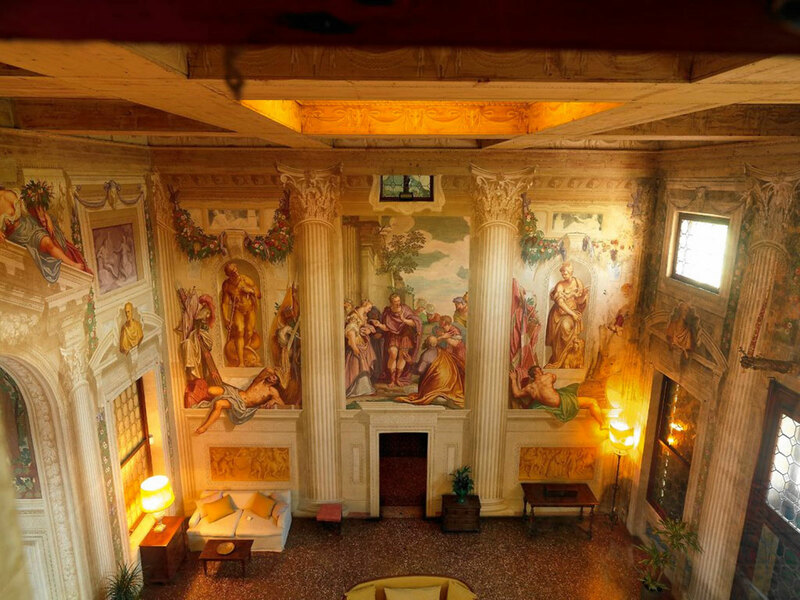 Some of the most famous Venetian villas are Villa Barbaro in Maser and Villa Emo in Vedelago without mentioning those one situated along the Riviera River such as the Malcontenta, Villa Pisani and Villa Widmann.